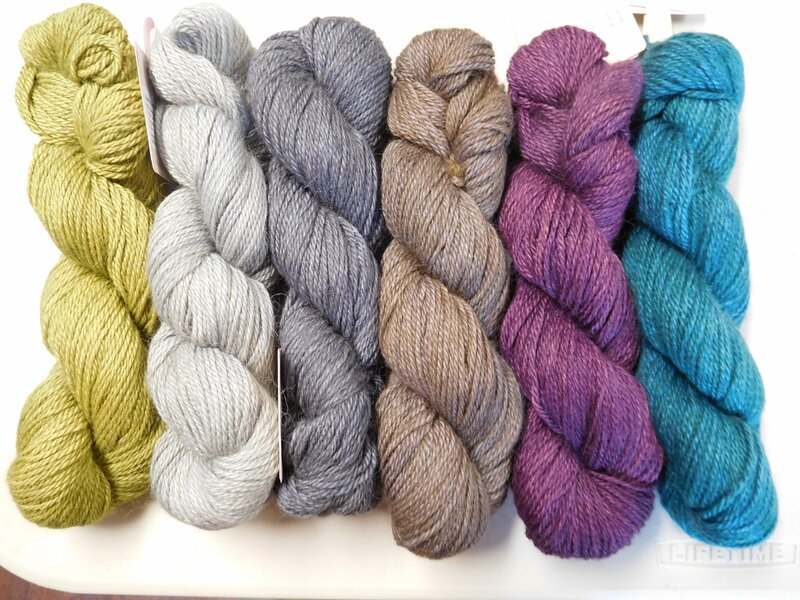 This lovely 65% baby alpaca, 10%cashmere, 10% camel and 15% silk yarn is "oh so lovely" in the hand! 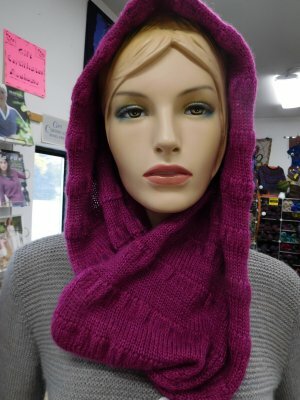 This yarn makes the loveliest cowl (2-4 sks, depending on your desired dimensions), scarf or shawl to curl up in. And, if you can really indulge for yourself, a wonderful sweater like the classic shown below! 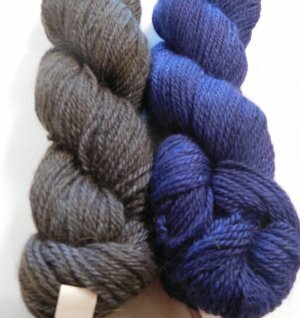 Each skein has 159 yards and it is recommended knit at 6-6.5 sts/inch on US 4. 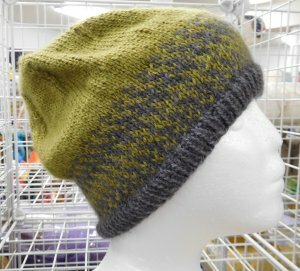 The hat below uses 2 sks....but there is enough of the skeins left to make a cowl in the reverse of the colors. Or you could make a headband with the leftover if you prefer! A couple more colors are expected soon. sorry about this photo , the rhodolite throws the other colors off! 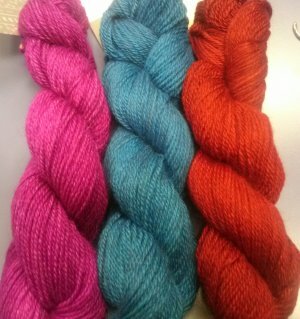 I'll try to get a better photo next week: the middle color looks green, but it is quite a bit more blue (hence they called it sapphire) and the red looks quite "orangey" here, but it is actually a dark, deep wine colored red!